Bangkok is currently experiencing a revival of traditional regional food, rather than only chasing after the latest international trends. In my opinion, the best Thai food comes from the Northeast region called Isan. 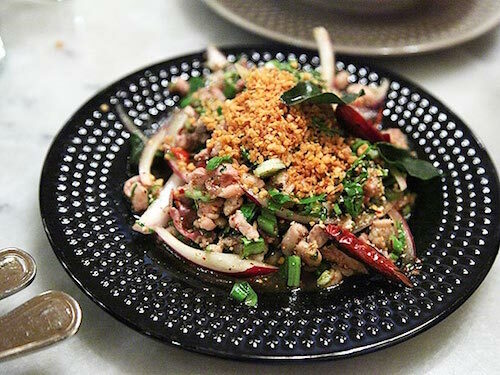 Isan Thai Food is famous for being very spicy and pungent, seasoned with fresh herbs and fermented fish (plah rah), featuring some of Thailand’s spiciest salads. The cuisine has more in common with that of Laos than the rest of Thailand, as Isan people historically have been influenced by their neighbouring county’s culture. Moreover, they speak a dialect that is closely related to Lao. 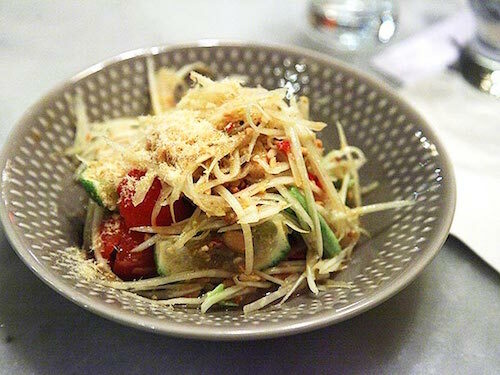 Somtum, green-unripe papaya salad made in Thai or Lao-style is this region’s most famous dish. Khao niao or sticky rice is widely preferred over jasmine rice. Served in small, covered, bamboo baskets called gktratip. Pla ra, pla som, and pla daek, types of fermented fish, are considered the signature elements of Isan food. Pla ra is the Isan equivalent of fish sauce and is often used to season curries. 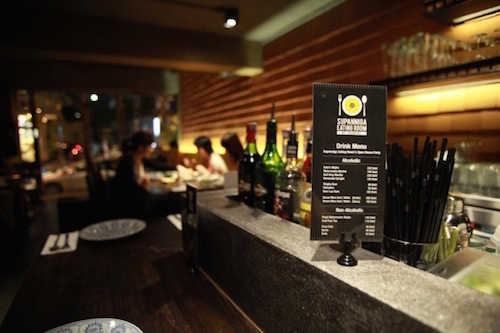 Eathai is a temple for food lovers located at the Central Embassy mall. Using the Eataly concept as a model, it offers a variety of street food from the different regions of Thailand. SomTum Der, a collaboration of friends and family who have close ties to Isan region, serves authentic northern Isan food in a comfortable friendly atmosphere, which guarantees to offer more than tasty true Isan food, but also a lifestyle that can be enjoyed. Som Tum Der has Branches in Bangkok and New York. Supanniga Eating Room offers an atmosphere similar to a friend’s house with “family secret recipes to share”. Established in loving memory of co-owner Thanaruek Laoraowirodge’s late grandmother, all recipes have been tried and tested by the family members, and perfected by time and experience.